First within the industry in Asia, So Klose has been an ISO9001:2008 certified matchmaking and dating services company since 2011 and was recertified by SGS in December 2014 (So Klose’s second ISO certificate) with zero non-conformities and overall customer satisfaction rate over 96%. CLICK HERE for more details. 2) A strict and thorough entry screening system, based on “Love Mapping” assessment as well as a number of key areas of profile and lifestyle data, which favorably customize our service to each member's unique needs, tastes, interests, and desires. As a qualified practitioner of the Myers-Briggs Type Indicator™ (MBTI) Step I & II, So Klose will use the MBTI with clients to gain a better understanding of their personality type to appreciate interpersonal differences and to improve communication and resolve relationship needs. One of the most popular and widely used personality-assessment tool in the world is the Myers-Briggs Type Indicator (MBTI), a psychological-assessment system based on the work of psychologist Carl Jung. 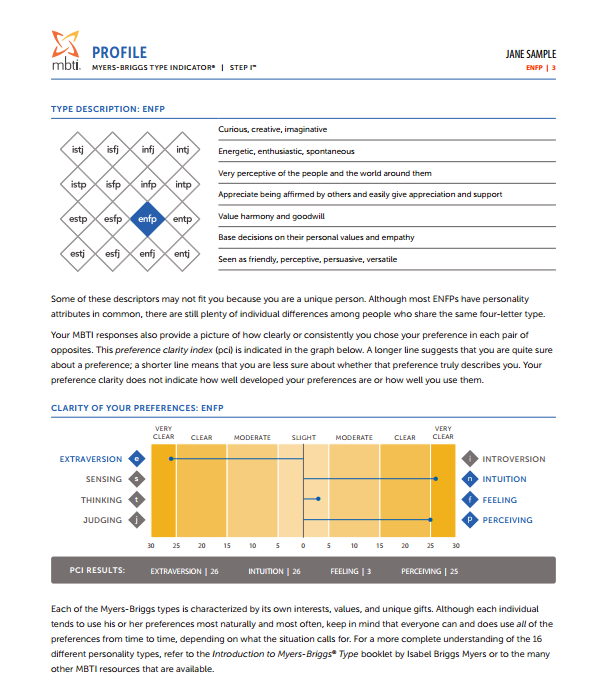 Two and a half million Americans a year take the Myers-Briggs. Eighty-nine companies out of the US Fortune 100 make use of it, for recruitment and selection or to help employees understand themselves explore personal growth, to explore their potential, career development, team building, and to improve interpersonal relationships. The profile of So Klose members are well-educated, high-income earners, executives working overseas, professionals, and entrepreneurs, etc. The highest percentage of membership by industries are coming from Banking/Financial Institute/Investment/Securities (28%); Accounting (14%); Education (12%); Architectural and Building (8%), Legal (7%) and Medical (4%) and others (27%). CLICK HERE for more details. -- Awarded “China’s Top Ten Model Brands in Matchmaking, Dating and Personal Introduction Services” by China "Economy" magazine, AITEC, China Trade News, CAPC, and CEIDL. -- Received The "Excellence in ICM Award" and "Pioneer In Intellectual Capital Management" from Intellectual Property Department (IPD) in 2010. Since its inception, So Klose has been receiving overwhelming responses from the single elites within the local communities. Nowadays, many So Klose's new clients are referrals by their friends (i.e. So Klose's successful matching couples), and by parents who are looking for matches for their children. So Klose was established in 2009 and has been successfully expanding the scope of members in terms of occupation. In the past, the majority of our members came from Banking and Finance, Medical, Legal and Education sectors. Nowadays, there are more and more members from varied industries, such as Civil Servant, Engineering, Building, Architectural and Construction, Design, Media, Publication, Utility, and so on. (6) Strive for continual improvement. We trust that chasing the vision first, the money will end up following you. 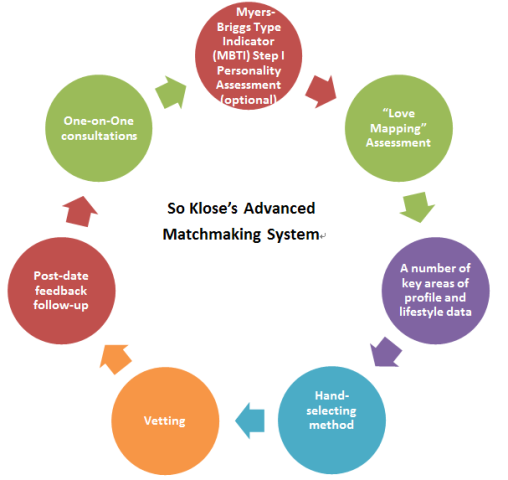 So Klose is an Executive member and Certified Matchamker of the Matchmaking Institute in New York, US. As a part of Matchmaking Industry's Trade Association, it certifies So Klose has met the standards set by the Professional and Certified Matchmakers Network, and could take advantage of the below benefits the Matchmakers’ Network has to offer.